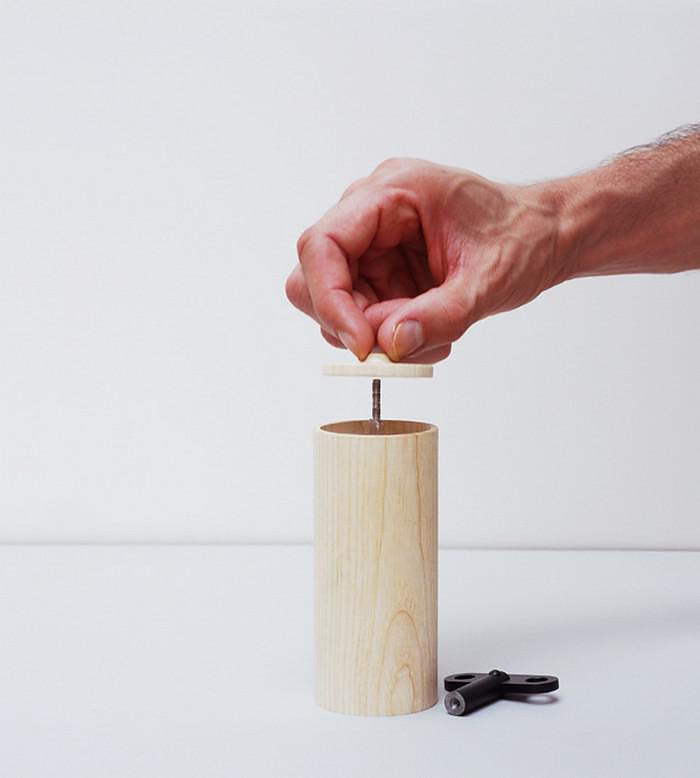 HomeBlogHome DecorSalt & Pepper Box salt and pepper mill by Oscar Diaz. 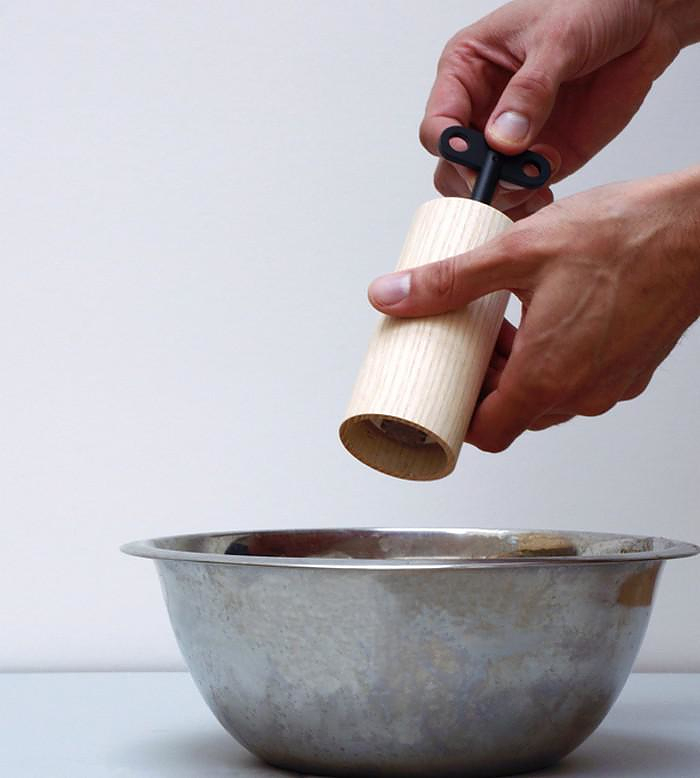 The Salt & Pepper Box by London based designer Oscar Diaz is an unassuming object, timelessly elegant in its own simplicity. An intriguing part of the design is the subtle reference to the key clock and the musical boxes of old times. The defining point of the design, that makes the connection, is the “mill handle” which resembles the music box winding keys. Function wise the salt and pepper mill don’t need much explanation. They indicate their function through memory and association. 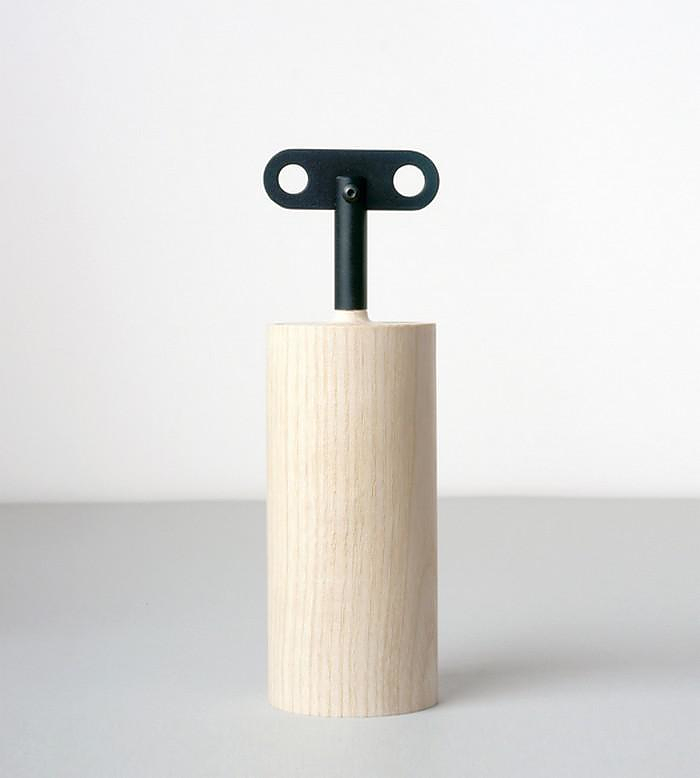 The black key finish for pepper, the polished stainless steel for salt. 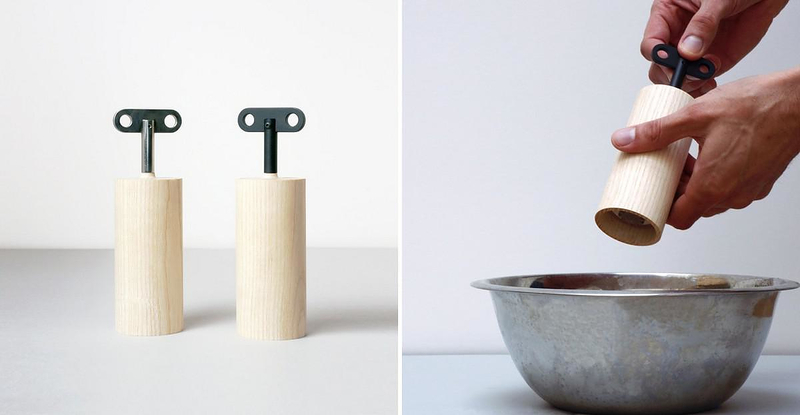 The Salt & Pepper Box mills are part of the “Basic Objects” series, an ongoing project which aim is to re-think everyday objects avoiding any narrative, and making use instead of people’s cultural understanding of objects. The objective is to create links with our unconscious knowledge of the physical world and use the collective memory as a starting point to design. The principle is that new designs are things, which have been thought as the result of and accumulation of actions. 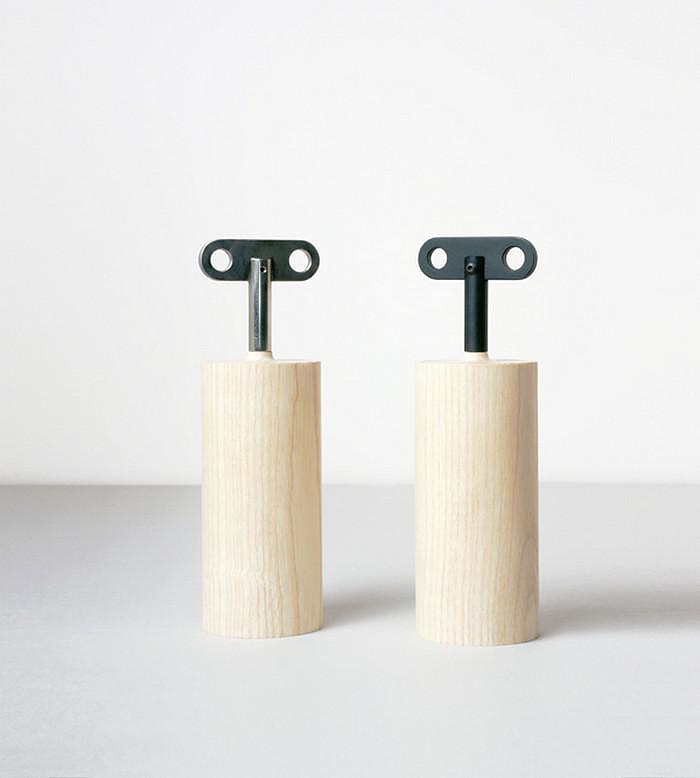 Oscar Diaz is a London based design studio working in the field of product design. His mission statement in his own words is: “We believe design stands right between culture and commerce, and culture informs everything we design”.